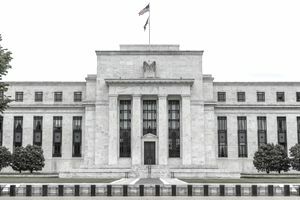 Which Interest Rates Does the Federal Reserve Control? It's important that you understand the various rates and how they'll affect your child's college fund. The biggest source of confusion about the Federal Reserve (aka "the Fed") and interest rates, has to do with which rate they're talking about. There are three rates in the U.S. that drive virtually everything else, from bond returns to credit card interest rates. Of these, the Federal Reserve controls only two (the Federal Funds Rate and the Discount Rate). The third rate, called the Prime Rate, is the rate that most people falsely believe the Fed changes. In truth, this is the one rate the Fed has no direct control over. Even more surprising to many investors is that the term "prime rate" doesn't refer to any single rate. The term simply refers to the rates banks give their best customers on borrowing money. This rate can and does vary slightly from bank to bank and may indirectly fluctuate as the Fed changes the other two types of rates. Though the current prime rate varies from bank to bank, you'll often see just a single prime rate number listed in the paper. Most often, this rate is the Wall Street Journal Prime Rate, which is meant to be representative of all the individual bank prime rates on any day. This number is the one that is most directly linked to the rate you pay for a car, home, or credit card loan. The Federal Funds Rate, also known as the Overnight Rate, is the rate at which banks lend their money deposited at the Federal Reserve to each other. The reason the Fed facilitates this lending is to help banks meet their regulatory reserve requirements. By letting banks lend to each other, the Fed also provides an opportunity for banks with a surplus to maximize their return on their deposits. The Federal Discount Rate is the rate at which banks can borrow directly from the Federal Reserve (as opposed to borrowing from each other). This rate is typically higher than the Federal Funds Rate since the Fed wants to encourage banks to borrow from each other before they borrow from the Federal Reserve. Though the full effects of a rate adjustment (usually done in quarter-percent increments) are beyond the scope of this article, the net effect is fairly simple. When the Federal Reserve lowers interest rates, it makes it cheaper for banks to lend money to their customers while also pushing down the interest rates on money market accounts and new bond or CD issues. It in turn, usually drives money towards the stock market and makes existing bond issues more attractive. Conversely, when the Federal Reserve raises rates, it makes it harder for banks to lend money to consumers to spend in the economy, as well as raising money market and new bond rates. It, in turn, puts downward pressure on the stock market and existing bonds. If you've recently put your college funds into short-term, less risky investments, a rate cut will slightly lower your rate of return, but probably not endanger your original investment. If you're in long-term investments, a rate cut will most likely contribute to stability or an increase in value. Conversely, parents who have recently moved their investments to very short-term investments will benefit slightly from a rate hike. Parents who recently invested in long-term bonds or stocks will probably experience some downward pressure and an increased risk of losing some of their original investment if they have to sell in a hurry.